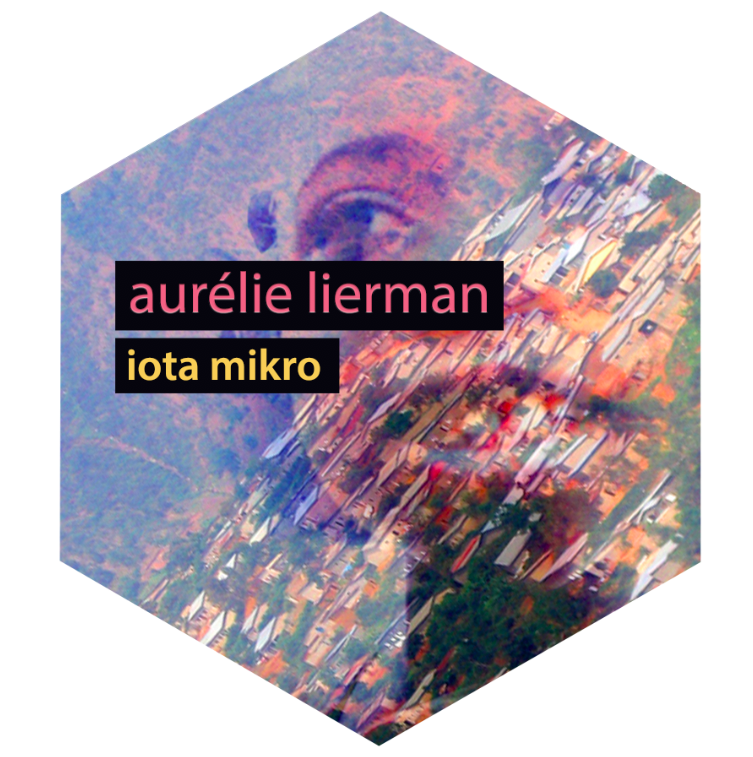 iota mikro was produced by radio producer, vocalist and composer Aurélie Lierman. The piece first aired in April 2012 at Studio I, Den Haag (NL). It won the Third Prize in the Short Form category at the Grand Prix Nova 2013, Bucharest (RO). iota mikro is dedicated to Lierman’s adorable two year old Rwandan Belgian godchild, Jerom Dom. In Summer 2011, I travelled for four months throughout East Africa, following my ears instead of following roadmaps, freely walking around and hunting for sounds as if they were endangered butterfly species. It's then and it's there I got the idea to start an ongoing personal archive of field recordings, and I baptized my project "Africa on Tape". Back in Europe from that epic trip back in my studio, I experimented with all the field recordings from my Africa on Tape archive, and my first opus became iota mikro in 2012. There is no real synopsis for iota mikro as it's leaning towards abstract sound art. Translation is also not needed as most of the Rwandan words are used as pure sound poetry and non-semantic abstract sound bits, distorted or manipulated in another way. I'm Belgian by adoption, and Rwandan by birth. I was born in a tiny traditional canopy hut on the foggy and chilly slopes of volcano Karisimbi and the Virunga mountains of Rwanda, far away and in big contrast with the sterile white maternity hospitals as we know them in the West. Curious about a specific sonic environment in which I spent the first period of my life, I back to the spot where I was born in 2011. Good to know, back in 2003, I already had made Nyrabikali, a realistic radio documentary about my first trip back to my roots in Rwanda. So on my trip in summer 2011, I no longer felt a need to make a veracious reconstruction of my past. This time I got way more interested in an artistic reflection on my complex identity and a meta reconstruction of my life experience. iota mikro is set up like a dream sequence balancing between haunting flashbacks, desired and imagined memories. All sounds in iota mikro are completely derived from my field recording sessions in Rwanda in 2011, crafted together through a very old school straightforward analog editing technique. It was my wish to fuse both my passions and professions, radio and composition into one composition. ‘iota mikro’ is Greek for small iota. Iota is the smallest letter in the Greek alphabet, and ‘mikro’ just means small but could also refer to a microphone. And since my real paper birth certificate in Rwanda is actually missing, I created, with iota mikro, my own sonic birth certificate. Aurélie Nyirabikali Lierman was born in Rwanda but grew up in Belgium from the age of two. She’s an independent radio producer, vocalist and composer. Lately Lierman is trying new directions by fusing radio art, vocal art and composition. Her main focus is her personal field recordings: a large collection of unique sounds and soundscapes from rural and urban contemporary East‐Africa. Sound‐bit by sound‐bit she’s transforming and sculpting them into something she would call “Afrique Concrète”. Lierman’s work has been broadcasted, exhibited and performed throughout Europe, Israel, Morocco, South Africa, Australia, New Zealand, Canada and USA. In October 2018 Aurélie Nyirabikali Lierman won the CTM Radiolab in Berlin. In January 2016 Lierman was awarded the Sally and Don Lucas fellowship at Montalvo Arts in California. In May 2014 she won the First Prize at Monophonic 2014 (Brussels) for ‘Anosmia’, a radio composition reflecting on the Rwandan Genocide. In 2013 she won the 1st prize at Sonic Art (Rome) for her radio composition KARIAKOO ( a sonic portrait of a lively neighborhood in Dar Es Salaam, Tanzania). In the same year, Lierman also won the 3rd prize at Grand Prix Nova (Bucharest) for her radio composition ‘iota mikro’ (based on field recordings from her birthplace, the Karisimbi vulcano, in Rwanda). Lierman released two albums with the British cult-group Nurse With Wound, collaborated with visual artist Vincent Meessen (Belgian entry for Venice Biennale 2015) on his recent exhibition at Kunsthalle Basel and Bozar. And in summer 2015 she toured the USA premiering her solo sets for voice and tape. Currently Lierman is preparing new electro acoustic work commissioned by Gaudeamus, for ensemble But What About to be premiered September 2018 and March 2019.